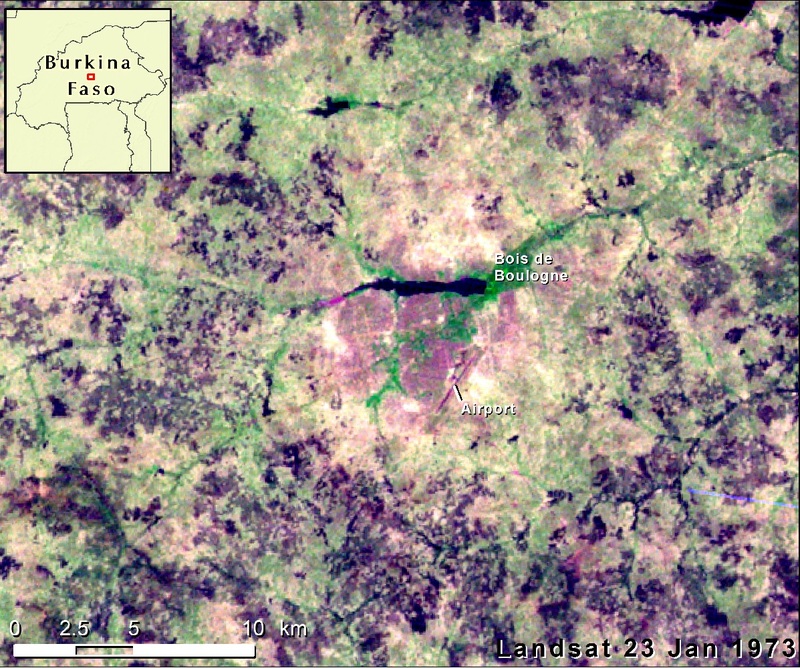 In the 1973 image (above, left), Ouagadougou (in pink) occupied only 85 sq km with most of the surrounding land covered by savanna (the dark patches are burn scars after bush fires) and cropland. 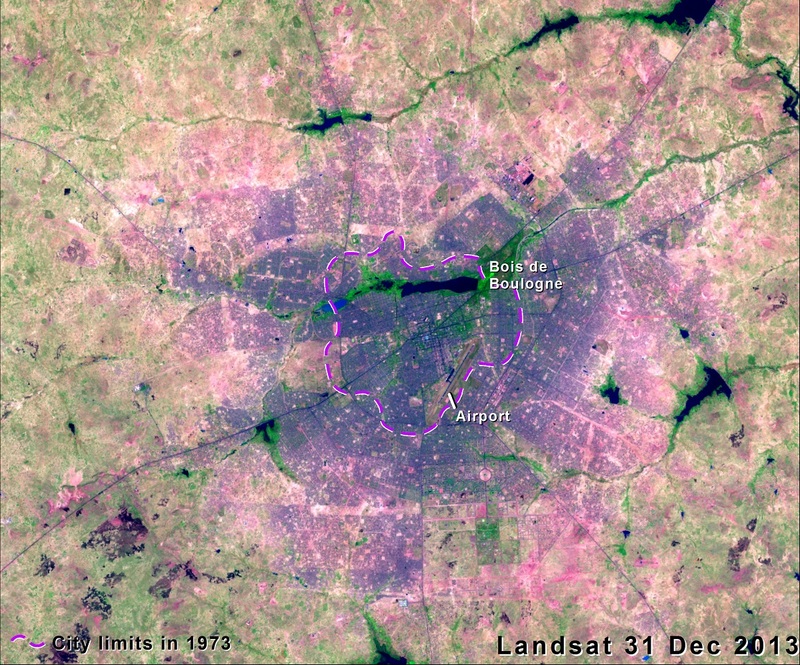 The 2013 image (above, right) shows how urbanization radiated out from the city center (purple and pink in the image) displacing farms and savanna, leaving primarily cropland surrounding the expanded footprint of the city. In addition, areas of vegetation, visible within the city limits in the 1973 image have been reduced by more intense development in 2013. In 1973, the airport lies fairly close to the city’s outskirts. In 2013, continued urbanization has engulfed the airport and continues to expand mostly southward and eastward. The extensive urban growth of Ouagadougou in the last 30–35 years was mainly due to rural to urban migration following the droughts of the 1970–1980s and to the arrival of many foreign immigrants, as well as Burkinabe from the neighboring countries — especially Côte d’Ivoire — that were undergoing political unrest in the late 1990s (Kelder, 2011). These people mostly settled in Ouagadougou and its surroundings in the hope of finding work (De Jong and others, 2000).